Profesor Manuel Gurpegui: Analysis of a sample of patients admitted into an acute psychiatric unit during a nine-year period. Analysis of a sample of patients admitted into an acute psychiatric unit during a nine-year period. Lugar y fecha: Málaga, España, 1 de Octubre del 2015. 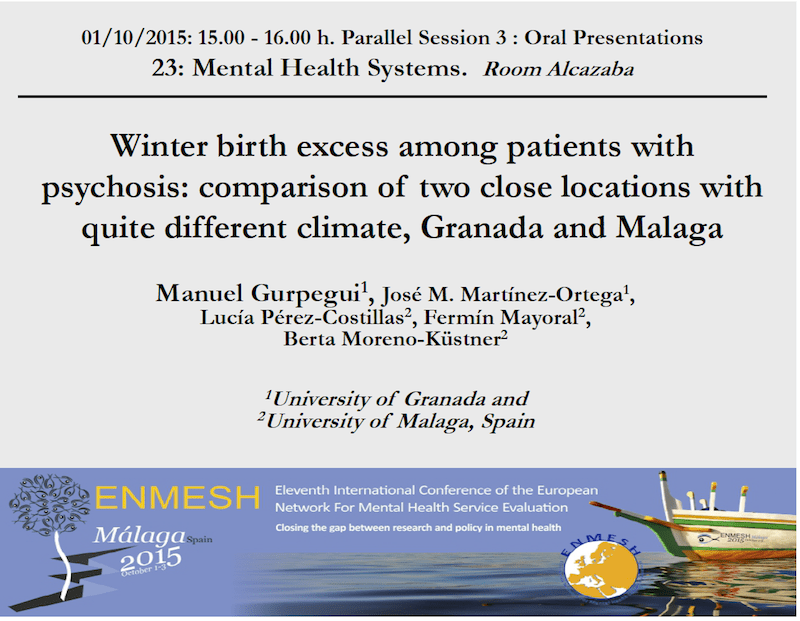 Ponencia en symposium del Eleventh International Conference of the European Network for Mental Health Service Evaluation (ENMESH). Málaga, 1-3 octubre 2015.